Continuing his long term collaboration with KP Projects // MKG, Greg “Craola” Simkins (featured) will be opening his latest exhibition at the West Hollywood gallery on May 21st. The upstairs area where Launch LA is located will also share the solo show and have the Los Angeles-based artist’s works on display. Entitled Beyond Shadows, the new body will include surreal paintings (like the one seen above) as well as his letter based “drip script” pieces along with some new paintings of his favorite switchblade Stab E. Mack. Categories: Low Brow & Pop Surrealism, Shows & Events, Videos. 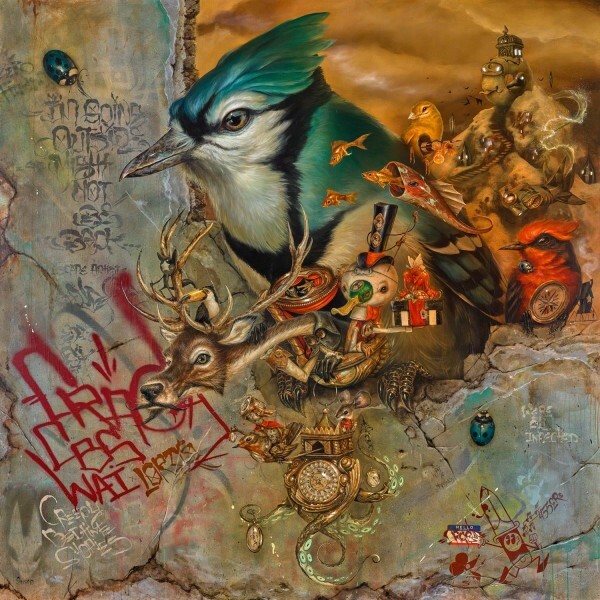 Tags: featured, Greg "Craola" Simkins, Los Angeles, Low Brow & Pop Surrealism, Shows & Events, slider-featured, Videos.